Poster: White tabloid paper (11"x17"); color Xerox. 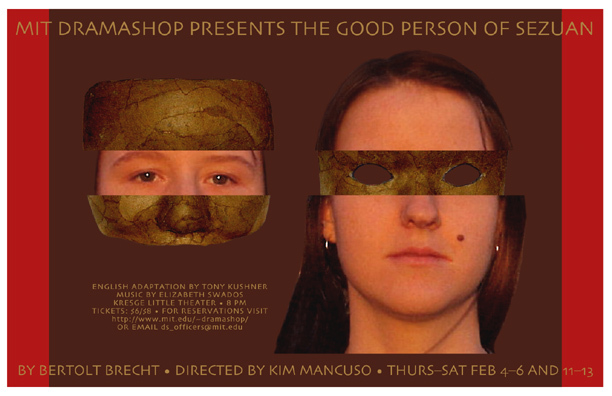 Digital photographs by me: Marketa Valterova, in the role of Shen Te; and the mask she wore as Shui Ta. The mask was designed by Alea Teeters. Adobe Photoshop. Type: Skia. Two versions of this poster were printed; the version not shown here had blue bars on the edges instead of red.